His career spans 17 years in film and television, and he has the charm, the look and the talent that an actor needs to become a star. Still, even if he had the lead in a brave 2006 TV film, directed by Agnieszka Holland, A Girl Like Me: The Gwen Araujo Story, Jorge Daniel Pardo had to wait many years to get the opportunity he deserves. 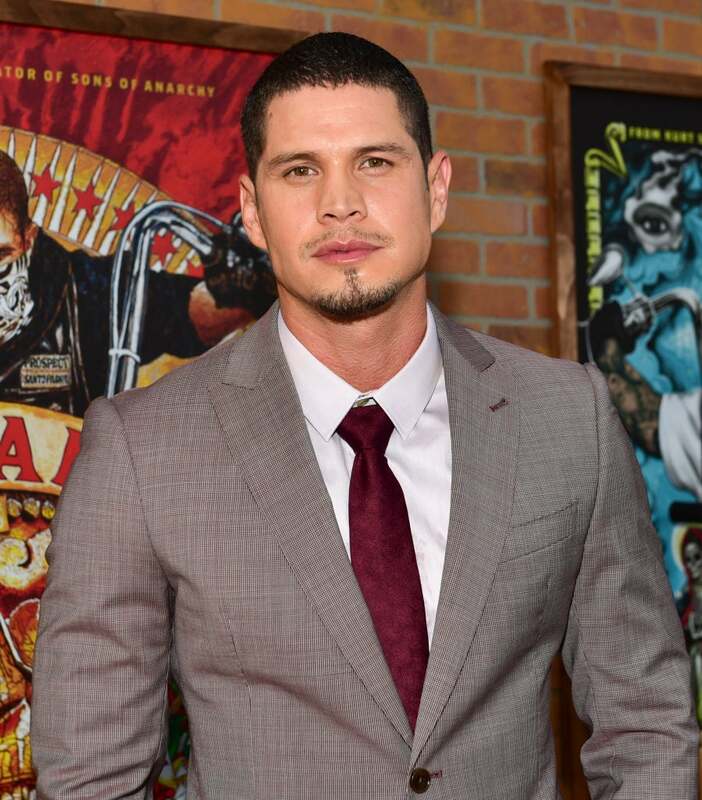 Pardo - the son of an Argentine father and a Salvadoran mother- takes the lead in In Mayans MC, the Sons of Anarchy spin-off, playing EZ, a man who once had everything but after doing time in jail is looking for new opportunities, as a prospect in the Mayans motorcycle club. In a rare move from a cable channel, the show has a large Latino cast that includes Edward James Olmos, Clayton Cardenas, Antonio Jaramillo, Raoul Max Trujillo, Michael Irby, Carla Baratta, Richard Cabral, and Dany Pino, among many others. Is this an opportunity that you have been waiting for in your whole career? Yes, it really is. I think like an actor, an artist, any artist - you want to be recognized for your work, and you also want to be able to make a living doing what you love to do. And so, to have this kind of opportunity at this level on this stage with a studio like F/X, it’s a dream come true. All my hard work and everything that I have learned since I started acting have led me to this point. What is your relationship with Sons of Anarchy? I never watched it when it was out on the air. I was aware of it, people said it was great and the best show on television. During the time I wasn’t watching a lot of TV. And so when I heard that Kurt Sutter was creating the Mayans along with Elgin James, that’s when I really wanted to be a part of it. As an actor you do your research, you investigate everything, all the details and that’s when I watched the first episode of Sons of Anarchy and I wound up binge-watching all seven seasons. And what did you think was the key to the success of that show? If I had that answer, I think I would create my own shows. I think that you can never tell, I have seen great shows with great actors fall apart after the first season or during the first season. I have seen silly shows with actors that aren’t names all of a sudden takeoff and become successes for 17 years. I don’t really know what makes it a success, all I can tell you as an actor is that it starts with the storytelling. And Kurt is a master storyteller. There’s a monster fan base there, bikes are an exciting culture, and it’s very real. And people also want to be entertained when they watch television or films. I think there is entertainment value in this. Even if you are not a part of a motorcycle club, that you feel like you are in one of them. And who knows, it might make you want to go out and buy a bike, right? And what about you? How were your bike skills before joining the show? Oh man, I didn’t have any bike skills. This is the first time, because of the show, that I jumped on a bike. They sent me over to Harley school with a couple of other cast mates for a weekend. You learn about the bikes and you take that knowledge out on the road and try to put yourself in an everyday situation and you get your permit, and the next thing you know, we are on set riding these monsters. And now I just love it, I absolutely love it. Pardo in a scene from Mayans MC. Oh yeah. Listen, we know the audience is smart, not only that, but we are also tapping into the motorcycle culture, and we want to entertain them, but we also respect them. So we want it to be the real thing. If you had to describe EZ, how would you describe him, how would you explain your character in the show? I would say that EZ starts off as the golden boy of his community. He is a very smart young man, he has a photographic memory and he goes to Stanford. He’s enjoying his life and living the American dream. And a tragic event happens, and it lands him in prison. So now that he’s out of prison, we get to see how this young man has physically changed, he is emotionally haunted by what he has lost and there’s a lot of shame with him. He’s a locked-up young man who is now trying to rebuild his life and the opportunity he is given is as a prospect of the Mayans MC. Something that is really impressive on the show is the amount of Latino talent that you guys have in the cast. Are you surprised by how many great actors that are there probably didn’t have a chance like this before? I am not surprised. And it’s exactly what you said just now, it’s the lack of opportunity. This is what I really appreciate about F/X and the chance that they have given us, with Kurt Sutter and Elgin James, to create the Mayans. I have never been a part of or tried for a part as any sort of diversity push. I am an actor, an artist, I never looked at any job I ever took as oh I have to do this to fill up some quota or to check a diversity box. I have always been drawn to the stories and the roles that allow me to have something to say within it. But my eyes have been opened with this process and Kurt Sutter talked about the auditioning process and said that there was a limited pool of Latino actors to cast from and I thought, there are so many of us, why is it limited? And it’s exactly that, it’s a limited pool because there just aren’t that many opportunities for Latino actors to really hone their skills and to grow as artists. And as you can see with this cast, there are great actors that are now being given an opportunity and can showcase what they can do. 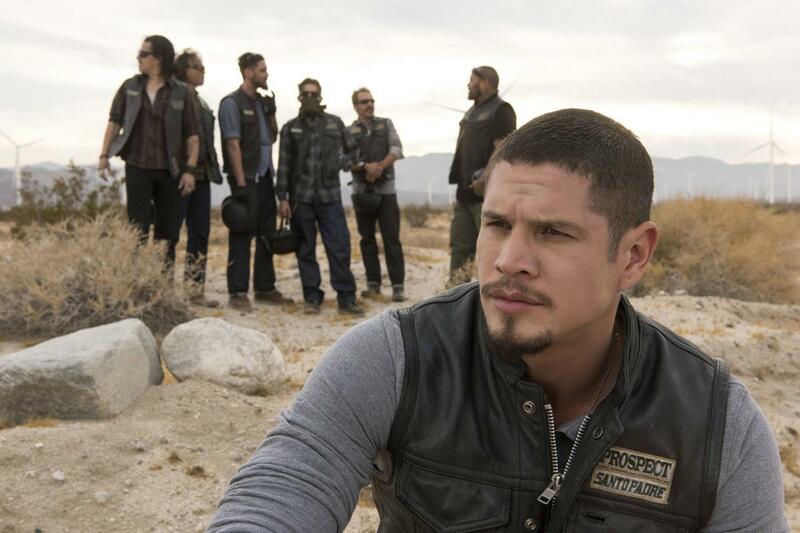 I hope Mayans MC opens doors for more Latino actors. I want to ask you about A Girl Like Me: The Gwen Araujo Story, because you filmed it 10 years before the LGBT movement picked up strength. You were directed by Agnieszka Holland and you had scenes with Corey Stoll before he became famous. Do you think that movie was ahead of its time? Absolutely. But look, I don’t know, I think that certain projects come out and they are ahead of their time, but it’s all part of the path, all part of the journey of getting to where we are today. I look at someone like Mr. Olmos and the fight and the struggle that he had since Zoot Suit, and everything that he has done in this business just to bring awareness to the fact that the Latino community is underrepresented in this business. I am now in this place because of the work of people like Mr. Olmos. I enjoyed doing the Gwen Araujo movie and I think that it’s an important story to tell. I am so thankful that they chose me to be a part of it. It was a great opportunity as an actor and a human being to learn and grow from. And if it can help in any way, then I did my job.